We generate coordinated models using BIM and allow our clients to check possible interference among all building systems. Our 3D models help the construction companies to visualize schematic structures before the beginning of construction and thus can offer better project planning for our clients. We detect clashes for eliminating major system conflicts before installation. 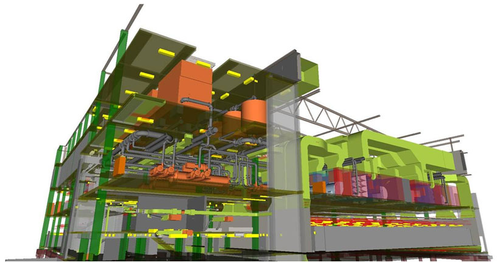 BIM 3D modeling (Building Information Modeling) is becoming increasingly significant for modern construction projects. In addition to give digital representation of a building project, it will also help high levels of interoperability and collaboration within the design environment. We, Trisita, are able to maintain all elements of a BIM model using BIM modeling software for all levels of projects and consumers such as retail, home builders, contractors, designers and architects.